MBA SERIES; ARE BONDS SAFER THAN STOCKS? Readers regularly ask, “Where to invest?” This article answers some basic investment questions and hones in on the difference between investing in stocks and bonds. 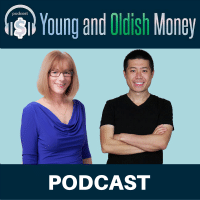 Much investing advice is based on historical returns of cash, stock, and bond investments. That advice is great as long as history repeats itself. Any soothsayers out there? I’ve yet to uncover the person who accurately predicts the future. From 1928 to 2011, stock, bond and treasury bill (a cash proxy) returns followed the long term expected historical returns. 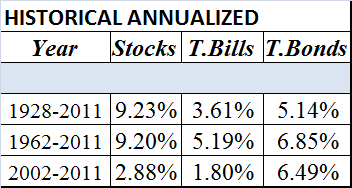 Stocks won with long term annualized returns of 9.23 percent. Coming in second were treasury bonds at 5.14 percent and one year treasury bills long term returns bringing up the rear with 3.61 percent returns. These annualized returns mask the inter-year volatility. Stocks, with their highest annualized returns also had the greatest annual volatility with gains as much as 30 percent in one year and losses of equal amounts in another. Treasury bonds and bills, as their lower returns would predict were less risky with smaller ups and downs in individual years. What if you started investing in 2002 and used historical data to to project your future returns? You might put a large chunk in stock investments with the assumption that stocks always outperform bonds. What happened from 2002 to 2011? Recent investment returns were unusual in that bond returns beat stocks by almost 3%. If you knew in 2002 that bonds would outperform stocks, with less volatility, then of course you would have put all your funds in bonds. But hindsight can’t bring back the past. In investing, safe means less volatility of returns (less risk) and risky means more volatility of returns. Higher risk means a chance of higher returns, not a guarantee of higher returns. Traditionally, since stocks offered higher returns and more volatility, they are considered riskier than bonds. Investors demand higher returns in exchange for investing in riskier assets. I expect this trend to return, but offer no guarantees. Inflation risk-Risk that your investment will be worth less in the future because of rising inflation. Credit risk-Risk that your bond issuer will default and you’ll lose all or part of your investment. Market risk-Risk that outside forces (think 911 or a tsunami or European debt crisis) will tank your entire stock portfolio returns. Firm specific risk-Risk that the company you invested in has problems and your investment values declines. Cash and bonds are susceptible to inflation risk. If you get a return of 2.5 percent on your bond or bank CD (certificate of deposit) and inflation is 3 percent. Your investment loses 0.5 percent per year. If the market falls due to outside reasons, most stock mutual funds and ETFs will decline in price as well. Keep your cash under the mattress and you’re at risk of theft and certain decline of purchasing power due to inflation. Bonds are usually less volatile. So, if you are looking for fewer ups and downs in your portfolio, then bonds are certainly less risky. Recognize that you’re giving up a bit of excess return potential investing in bonds (although not during the last 10 years). If you cannot tolerate any volatility then the absolute best investments are Governement I (Inflation) Bonds and Treasury Inflation Protected (TIPS) securities. These bonds are guaranteed to preserve your principal investment from the ravages of inflation. Otherwise, most bonds and bond funds are less volatile than stocks and historically offer lower returns. 1. If you cannot tolerate any volatility and only want to preserve your capital from inflation, buy I Bonds and Treasury Inflation Protected Securities. 2. If you are quite risk averse and can only tolerate a bit of volatility, tilt your portfolio towards a higher weight in bonds and lower weight in stock investments. Do not invest any money in stock investments that you need within the next five to ten years. This is not a recommendation to buy or sell any investments. 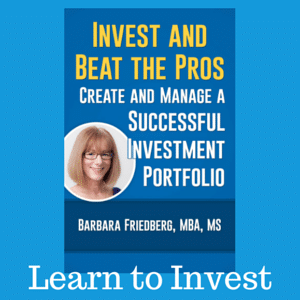 Download the free, How to Invest and Outperform Most Active Mutual Fund Managers ($9.99 value). Asset Allocation is the best recommendation for reducing returns while maintaining competitive returns. In general bonds are less volatile than stocks. How much risk do you take in your investments? Are your investments tilted toward stocks or bonds? Great explanation! I have to consider the fixed portion of my investments in two ways, Social Security/pension and bonds. Thanks to a rather significant portion of my retirement income coming from Social Security/pension, I can take a little more risk than ordinary. Thanks for the mention Barb! @Krantc-Very sensible way to look at risk. 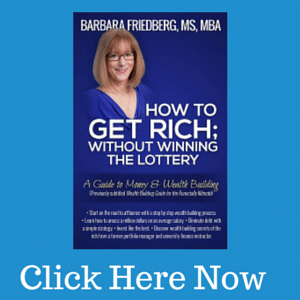 If you have a large chunk of risk free income, you can afford to take a bit more risk with the rest. Hi Barb, I would say in normal times bonds are less risky than stocks. Though at the rates we are at, do you really think it’s such as wise place to invest? The real rate of return for government bonds is negative. I would rather park my cash or pay down debts (think as a reverse bond). This isn’t to say you should have 0% in bonds. Though as I mention in my asset allocation I have added other alternative investments instead of doing the traditional 60/40 mix. So in my case 25% is in bonds and the rest is in things such as REITs, and commodities. Oddly enough I wonder more and more should I change my portfolio to match the Harry Dent allocation. Barb good information. As are all periods in the investment world, the next ten years will be quite interesting. Bonds have had “the wind in their sails” for the last 30 or so years, but at some point interest rates will rise. The biggest takeaway from the past ten years is that diversification works. For all of the talk of the Lost Decade in the media, investors with a diversified portfolio have earned decent returns. In the stock arena this includes allocations beyond just large caps. @ Roger, All I can say is that your comments are “on the money”. Definitely am a proponent of diversification, I’ve yet to meet the person who can accurately predict the direction of various asset classes with 100% certainty :). No offense to @Investor Junkie but the likes of Harry Dent scare me. He might actually turn out to be right at some point, but I’m not sure that following his market calls over the long term would be a good thing. He does sell a lot of books however to his credit. Sorry Barb and Roger I meant Harry Browne not Harry Dent. So maybe that post won’t be that good after all Barb. Hi Investor, I agree with the allocations to stocks, cash, and bonds but I’d add REITS in a small percentage in lieu of gold. I believe gold is in a bubble and it’s growth is in the past.